The Tecno W3 has a dimension of 143 x 72 x 8.65mm, while the Tecno W4 has a dimension of 143.5 x 71.3 x 8.5mm. while the Tecno W4 has a resolution of 1280 x720 pixels. 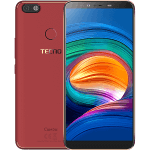 Memory: The Tecno W3 comes with a RAM of 1GB and an internal memory (ROM) of 8GB, while the Tecno W4 comes with a RAM of 1GB and an internal memory (ROM) of 16GB. back/rear camera of 8.0MP and a front camera of 2.0MP. Operating System: They both came with Android 6.0 Marshmallow. Processor and GPU: They both came with a 1.3GHz Quad core processor. Battery: They both came with a battery capacity of 2500mah. The Price difference between Tecno W3 and Tecno W4 is quite huge for so little differences between them. Thanks Babajide for the nice input. Good Day, Muhammad, You can get it online on Jumia Nigeria, for 30, 400 Naira, that is the best deal I have Seen. 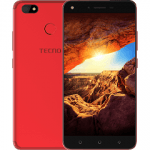 Click on this link https://aboutdevice.com/product/tecno-w3-jumia/ ,then click on Buy Now to buy the Tecno W3. Use you Debit Card for payment.